One could definitely sound like a broken record when praising the impact of different seasons on the possibilities of the Italian kitchen. Actually, on second thought, “a broken record” is probably soon an expression that millenials do not actually understand (not that I expect Cucina Fintastica to be the “it blog” of millenial hipsters though). Anyway. Sometimes I do not let the seasonality of Italian recipes restrict my culinary adventures too much – like in this case of Christmas food in June. But more often, especially during the warm half of the year, the availability of fresh European and Finnish veggies, fruit and berries does make cooking even more exciting. 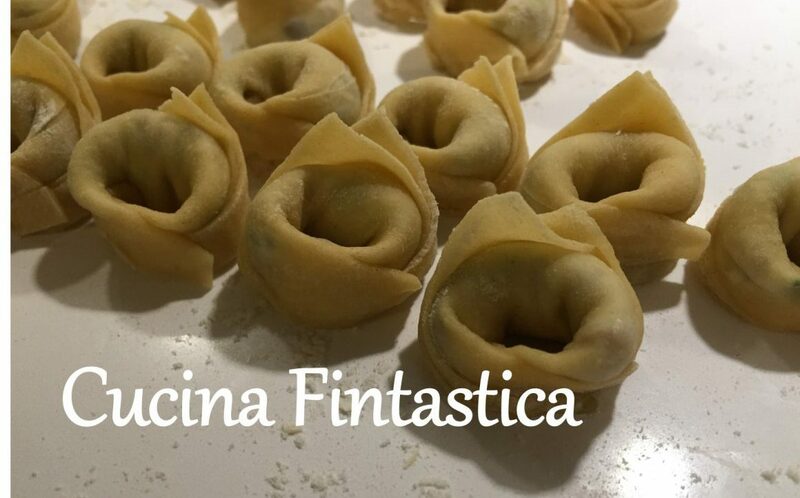 I have been collecting quite a backlog of recipes for Cucina Fintastica recently so in the seasonal spirit of early summer, I’m now publishing a series of three fab recipes: a primo, a secondo and a dolce. This fantastic pasta dish is by my old friend Giorgione. I have successfully tested quite a few of his recipes (like this great chicken with mulberries) from his first book and was recently delighted to get the second book “Giorgione – le origini“. In this pasta from the le origini book, one of the main ingredients is quite surprisingly strawberries. I already appreciated adding strawberries to a salad e.g. with goat cheese but strawberries with pasta sounded… interesting. I suppose this combination is also unusual for Italians as Giorgione writes in his book that “you won’t believe it but it is really worth a try”. I can confirm that it definitely is! Chop the onion and cut the strawberries into slices. Bring a kettle of water to a boil, season with salt and add the pasta. While the pasta is cooking, in a pan, heat some olive oil and butter. Add the onions and cook gently for a few minutes. Add the strawberries, season with salt and pepper and continue cooking. While the strawberries are also gently cooking, prepare the filling. Cut the mozzarella into small pieces and mix it with the ricotta, some salt and pepper, and a heaped tablespoon of parmesan. Once the pasta is cooked (al dente), let it cool down a bit. After that, fill the pasta shells with the mozzarella ricotta mixture. If you prefer to eat the warm version of this dish, you can add a drop of milk into the cheese mixture and sprinkle some bread crumbs on top of the pasta shells and put them in a hot oven for a few minutes (Giorgione didn’t specify how hot but mine was about 200C). If you prefer the colder version, you skip the milk, bread crumbs and oven. Finally, place the strawberries onto the filled pasta shells, sprinkle with the sauce from the pan and add some basil leaves to garnish.